2 weeks until tour time! 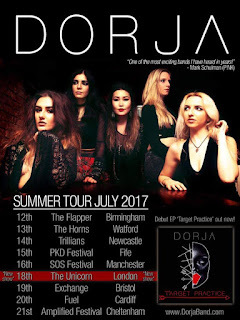 Please welcome the new DORJA guitarist, Sarah Michelle! 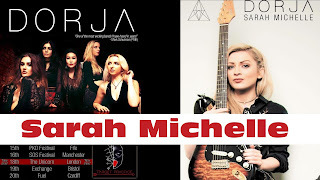 Sarah Michelle is a professional rock guitarist from Dublin, Ireland. 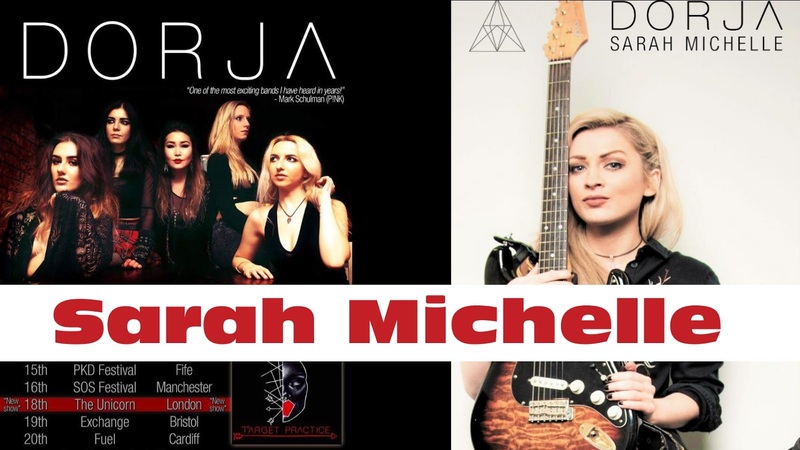 She has toured with various acts and artists around the U.K and Europe. After her studies in commercial modern musicianship, she became a highly sought after session musician. 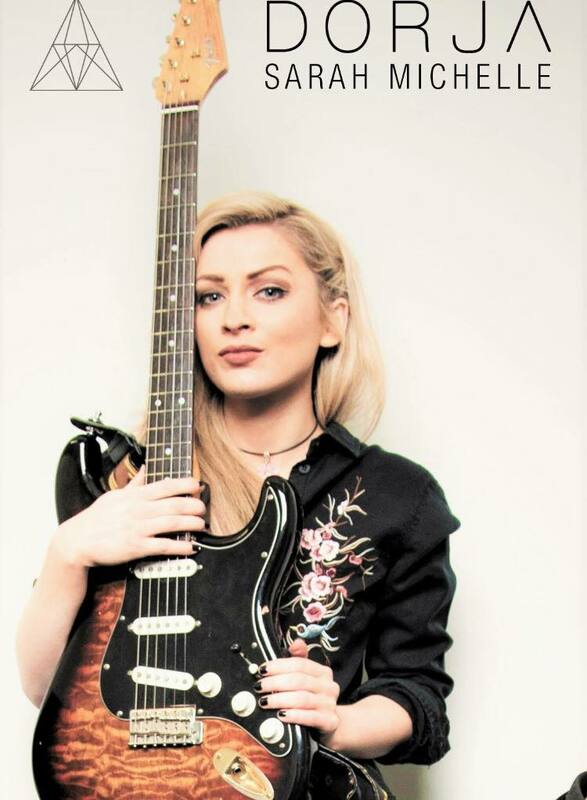 She has also developed her career through her YouTube channel which features her high energy guitar playing and has gained millions of views. Gear: Gibson, Gretsch, Seymour Duncan, Marshall, Ernie Ball, Hotone. Influences: Jimi Hendrix, Gary Moore, Eddie Van Halen, Paul Kossoff. A huge 'thank you' to everyone who shared our posts and spread the word about our plight to find our new member, we feel very blessed to have found a great fit for the band. We received a number of high quality guitarist applications, and we also thank those girls who put the time in to share their skills with us. 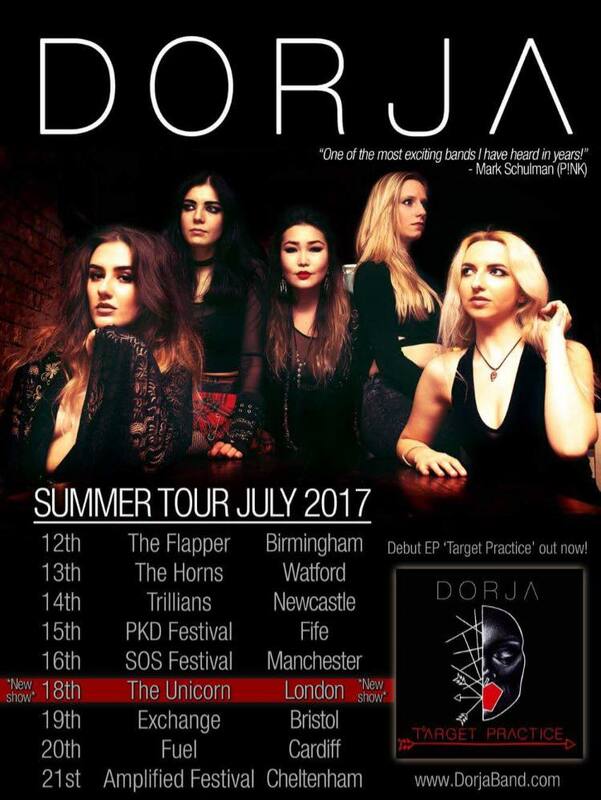 Now we have added a central London show, we are even more excited to start our 9 date UK tour with Sarah! Just two weeks until the debut of the new line up in Birmingham. We are so ready! Guitar Cover of Jack Thammarat's "Mr Frontman"